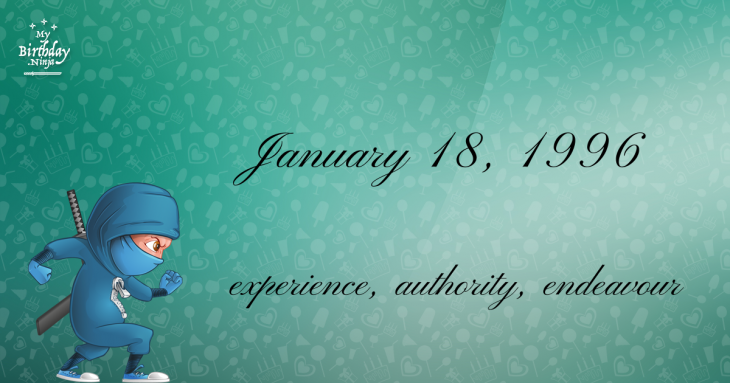 Here are some snazzy birthday facts about 18th of January 1996 that no one tells you about. Don’t wait a minute longer and jump in using the content links below. Average read time of 10 minutes. Enjoy! What day was my birthday Jan 18, 1996? January 18, 1996 was a Thursday and it was the 18th day of the year 1996. It was the 3rd Thursday of that year. The next time you can reuse your old 1996 calendar will be in 2024. Both calendars will be exactly the same! This is assuming you are not interested in the dates for Easter and other irregular holidays that are based on a lunisolar calendar. What day was January 18 this year? There are 272 days left before your next birthday. You will be 24 years old when that day comes. There have been 8,494 days from the day you were born up to today. If you’ve been sleeping 8 hours daily since birth, then you have slept a total of 2,831 days or 7.75 years. You spent 33% of your life sleeping. Since night and day always follow each other, there were precisely 288 full moons after you were born up to this day. How many of them did you see? The next full moon that you can see will be on May 18 at 21:13:00 GMT – Saturday. Fun stat: Your first one billion seconds (1,000,000,000) will happen sometime on September 26, 2027. If a dog named Whimmey - a Miniature Schnauzer breed, was born on the same date as you then it will be 112 dog years old today. A dog’s first human year is equal to 15 dog years. Dogs age differently depending on breed and size. When you reach the age of 6 Whimmey will be 40 dog years old. From that point forward a small-sized dog like Whimmey will age 4 dog years for every human year. View the complete list of January 18 celebrity birthdays. Who are the famous January 18 birthdays? Here’s a short list of famous people in history who were born on Jan 18. View the complete list of January 18 famous birthdays. What happened on my birthday – Jan 18th? James Cook is the first known European to discover the Hawaiian Islands, which he names the “Sandwich Islands”. The first elements of the First Fleet carrying 736 convicts from England to Australia arrive at Botany Bay. Dr. William Price attempts to cremate the body of his infant son, Jesus Christ Price, setting a legal precedent for cremation in the United Kingdom. Eugene B. Ely lands on the deck of the USS Pennsylvania stationed in San Francisco Bay, the first time an aircraft landed on a ship. Bentley Motors Limited is founded. World War I: The Paris Peace Conference opens in Versailles, France. Warsaw Ghetto Uprising: The first uprising of Jews in the Warsaw Ghetto. Australia’s worst rail disaster occurs at Granville, Sydney killing 83. Martin Luther King, Jr. Day is officially observed for the first time in all 50 states. Gaza War: Hamas announces they will accept Israel Defense Forces’s offer of a ceasefire, ending the assault. View the complete list of January 18 historical events. What does my birthday January 18, 1996 mean? 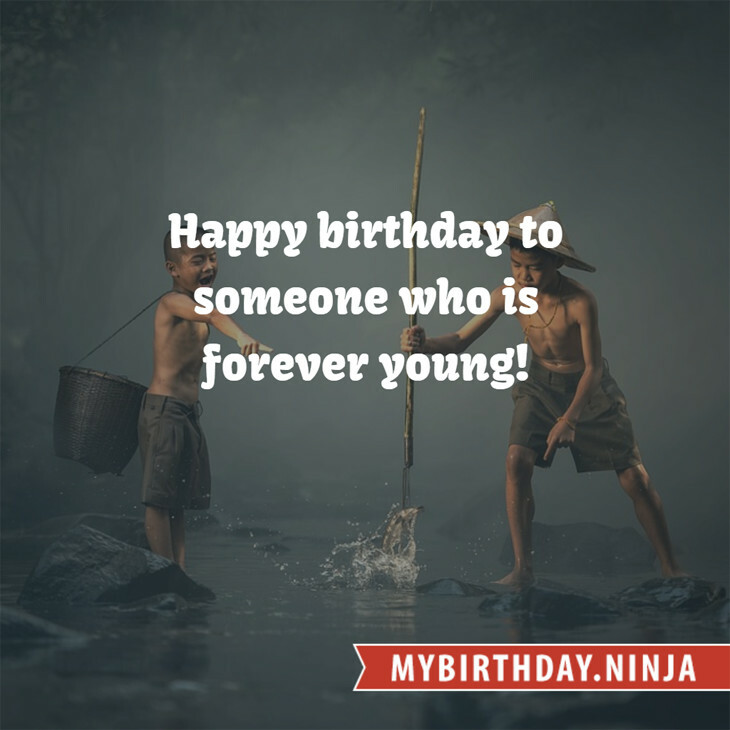 Your birthday numbers 1, 18, and 1996 reveal that your Life Path number is 8. It represents experience, authority and endeavour. You are gifted with natural leadership and the capacity to accumulate great wealth. The following celebrities also have the same life path number: Candy Darling, Martin Vučić, Toni Garrn, Donny Alamsyah, Mark Povinelli, George Newbern, Noel Sullivan, Bushido, Hrishikesh Mukherjee, Ai Maeda. What is the birthday horoscope for Jan 18, 1996? The Western zodiac or sun sign of a person born on January 18 is Capricorn ♑ (The Sea-goat) – a cardinal sign with Earth as Western element. The ruling planet is Saturn – the planet of discipline. According to the ancient art of Chinese astrology (or Eastern zodiac), Pig is the mythical animal and Wood is the Eastern element of a person born on January 18, 1996. What is the birthstone for January 18? Garnet is the modern birthstone for the month of January while Emerald is the mystical birth stone (based on Tibetan origin). The zodiac gemstone for Capricorn is ruby. Lastly, the birthday stone for the day of the week ‘Thursday’ is sapphire. Fun fact: The birth flower for 18th January 1996 is Carnation for friendship. What is the Love Match for Jan 18, 1996? When it comes to love and relationship, you are most compatible with a person born on November 18, 1968. You have a Love Match compatibility score of +218. Imagine being in love with your soul mate. On the negative side, you are most incompatible with a person born on July 27, 1975. Your incompatibility score is -187. You’ll be like a cat and a dog on a love-hate relationship. Arf-arf, I want to bite you. Meow-meow, stay away from me! What is a good birthday trivia for January 18? The number-one hit song in the U.S. at the day of your birth was One Sweet Day by Mariah Carey and Boyz II Men as compiled by Billboard Hot 100 (January 20, 1996). Ask your parents if they know this popular song. I do not know how you feel about this, but you were a female ♀ in your last earthly incarnation. You were born somewhere around the territory of USA South-Central approximately on 1225. Your profession was chemist, alchemist, poison manufacturer. How many babies were born on January 18, 1996? Base on the data published by the United Nations Population Division, an estimated 131,354,612 babies were born throughout the world in the year 1996. The estimated number of babies born on 18th January 1996 is 358,892. That’s equivalent to 249 babies every minute. Try to imagine if all of them are crying at the same time. What is the popular baby name on 18 Jan 1996? What’s your bizarre Florida Man story? The #FloridaManChallenge is breaking the Internet and social media. Some crazy men, women, or creatures from the Sunshine State are making headlines every day of the year including your birthday. Try this fun exercise. Pick your search engine of choice and type in “florida man January 18” and see what kind of wild news headline you will get. This viral craze started in 2013 and gets resurrected now and then. The latest was from Tumblr and found its way to Twitter. As they say, the rest is history. Here’s a quick list of all the fun birthday facts about January 18, 1996. Celebrities, famous birthdays, historical events, and past life were excluded. Try another birth date of someone you know or try the birthday of these celebrities: December 29, 1934 – Ed Flanders, American actor (d. 1995); January 10, 1974 – Jemaine Clement, New Zealand actor, singer, and guitarist (Flight of the Conchords); June 27, 1938 – Shirley Anne Field, English actress.